Home / Learning Center / What Do Bed bugs Look Like? Bed bugs are parasitic insects that feed on blood, thus attracting them to humans. Bed bugs can bite and cause rashes. They like to hide in warm spaces, including the cracks and crevices of mattresses, furniture, and bedding. 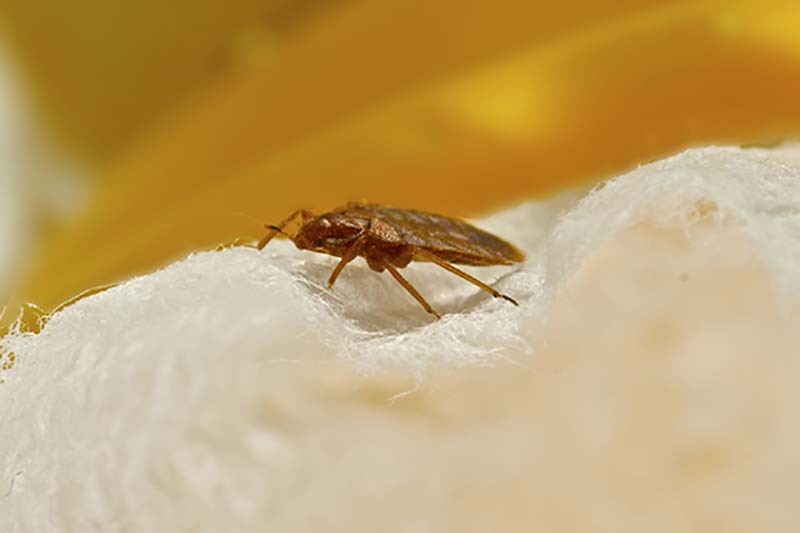 It is important to identify what bed bugs look like before you begin treating for the pests, as there are other insects that can be mistaken for bed bugs that require a different treatment plan. The good thing is that bed bugs are visible to the human eye. Read our guide to identifying bed bugs below, then continue reading our guide to learn how to find, get rid of, and prevent bed bug infestations in your home. 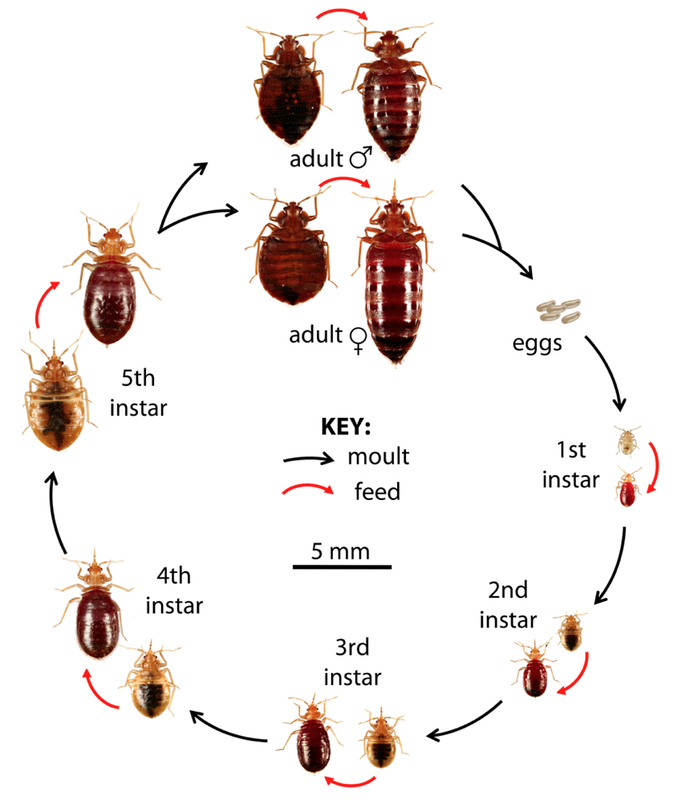 Bed bugs are tiny and vary in size based on their stage in the life cycle. 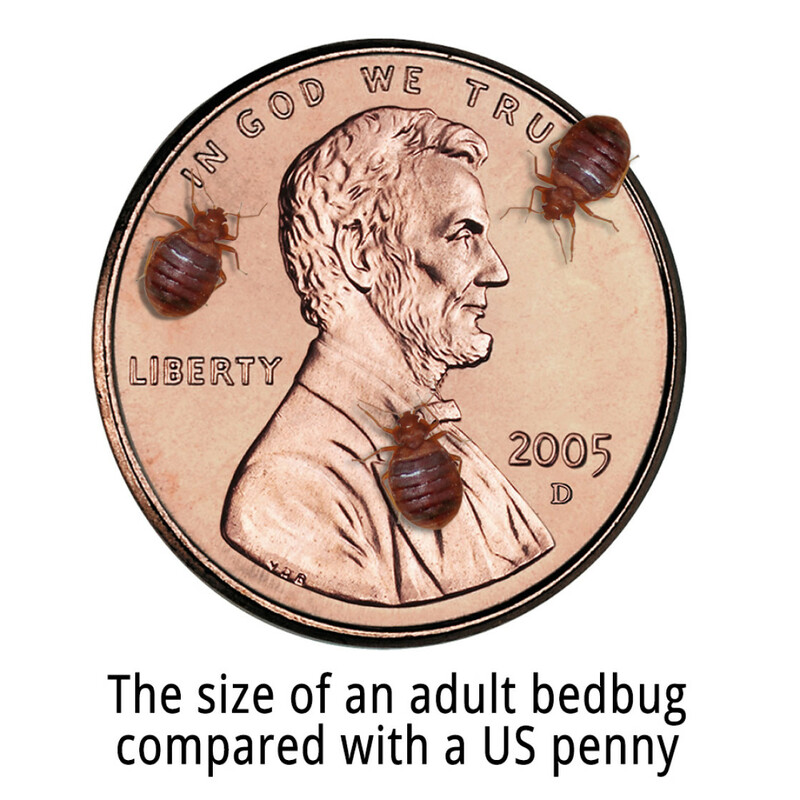 Immature, or nymph, bed bugs range from 2-5 millimeters in length while fully grown adult bed bugs are a quarter of an inch long or larger, generally the size of an apple seed. Adult bed bugs have a flat, oval-shaped body, six legs each, two antennae, and do not have wings. Nymph (immature) bed bugs are translucent in color. After feeding, a nymph will have a bright red translucent abdomen that will fade to brown and eventually black as it digests its meal. As nymphs mature into adults, they molt and become a darker brown. 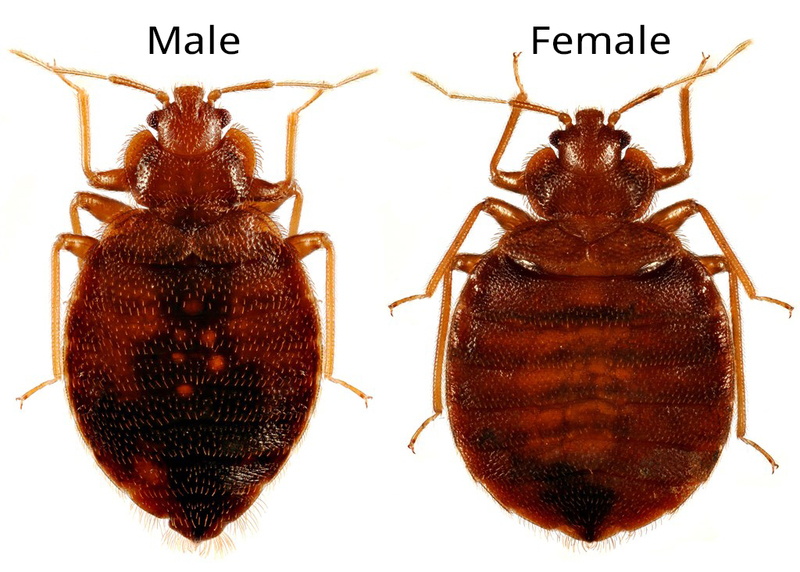 Adult bed bugs are a rusty red/brown color. Bed bug eggs are a light cream color. Bed bugs can be found across the United States and are most prevalent in cities and large travel hubs, hence the need for bed bug control. However, bed bugs can still be found in small towns and remote locations. Do you have bed bugs? Learn where bed bugs hide on page 2 of our guide to find out where bed bugs may be in your home. Click the right arrow below to read more. 992 of 1017 people found this article informative and helpful.